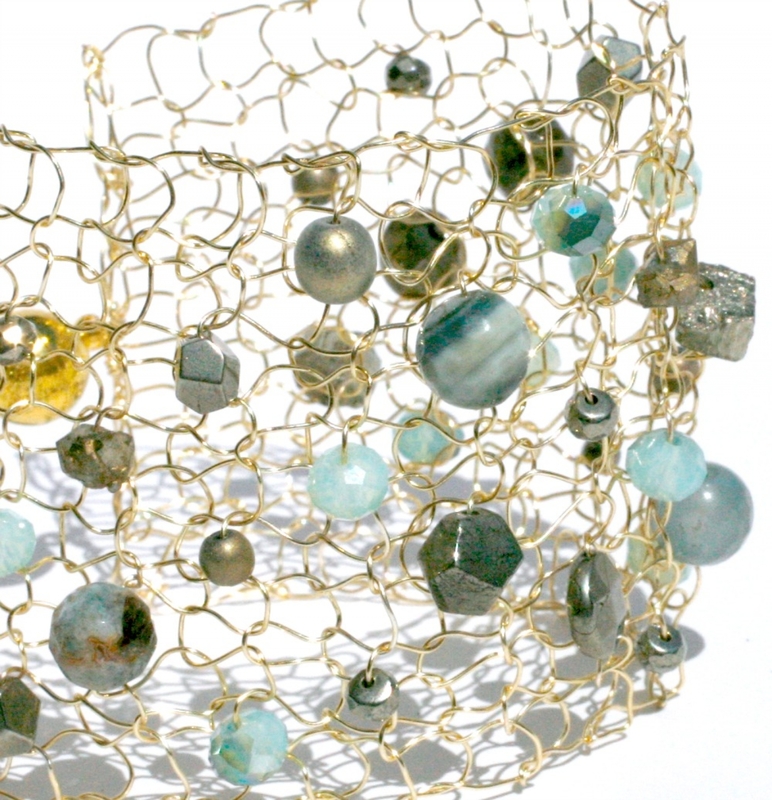 Gold Cuff Bracelet Wire Knit Mesh Arm Cuff Elegant Gold Bracelet adorned with Raw Pyrite, faceted pyrite and gorgeous sea foam agate stones & crystals. 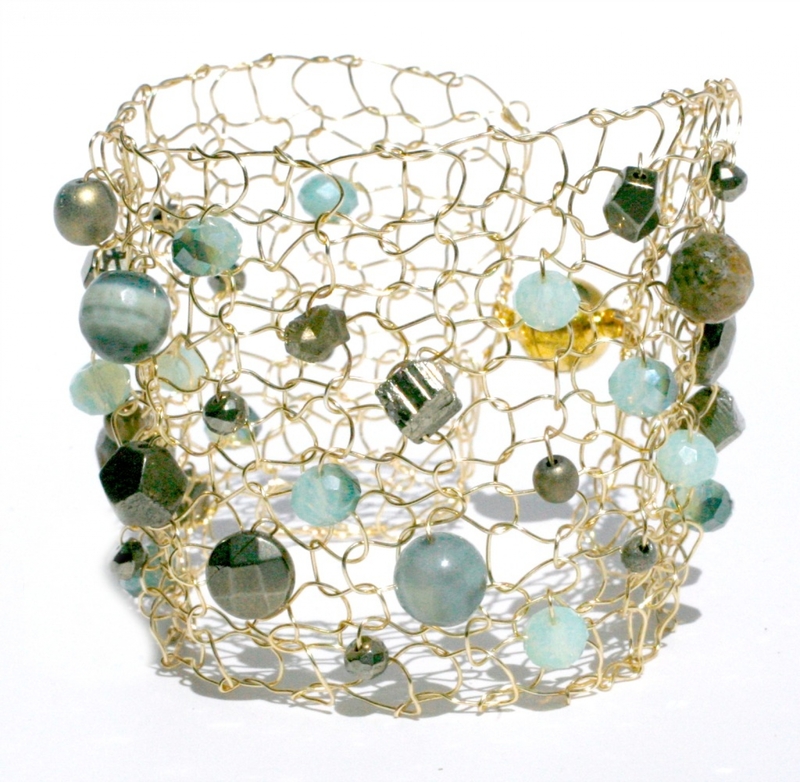 This hand knit gold plated wire cuff is absolutely striking, yet delicate at the same time. 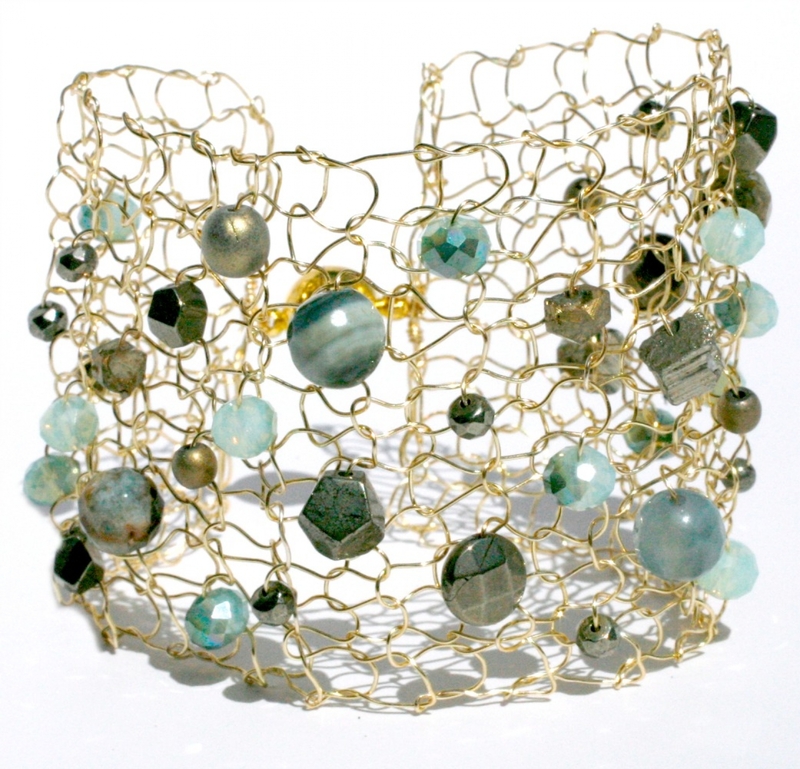 This cuff is open and artistic and has different shapes and sizes of pyrite and soft pastel aqua agate floating throughout the bracelet. Expertly hand knit, a timeless piece of art for your arm! I hand string and hand knit all of my pieces, so no two ever come out the exact same. Truly unique and one of kind..... perfect gift for those who have everything - or for yourself cause you deserve it! This gorgeous piece is about 2+" in width. It is Wide and sure to make a statement on the arm. It utilizes a large strong magnet for the clasp. I recommend you slide these magnets apart instead of "pulling" - as they are very strong and you can accidentally pull a magnet right out of the casing. Please feel free to contact me with any questions as I am always happy to answer any questions you may have..... please indicate your wrist length at time of purchase.